Africa Media Development Foundation (AMDF) has announced a number of confirmed speakers and highlights for its Annual MediaAfrica Conference scheduled to hold on 11th December 2018 in Kaduna, Nigeria. The Speakers include Prof. Umaru Pate, Dean Faculty of Communication, Bayero University Kano, Nigeria , Mrs. Fatimah Shaibu, Senior Lecturer, Mass Communication Department, Kaduna Polytechnic, Mr Bolaji Adepegba, Senior Programme Advisor, Development Communications Network, Lagos- Nigeria and Alhaji Tijjani Mohammed Bala (Bunun Zazzau), District Head of Doka, Kaduna . Others are, Mal. Kabir M. Abdullahi, State Team Leader, Nigerian Urban Reproductive Health Initiative (NURHI) Kaduna State, Mr. Dominic Uzu, Publisher, City Source Online Newspaper, Kaduna and Mr. Alex Uangbaoje, Coordinator, League of Professional Online Journalists of Africa. The 2018 Conference themed ‘Africa’s Raising Population: Media as a tool for Harnessing Demographic Dividend’ holds at I-Care Women and Youth Initiative Conference Hall, No 6 Suleiman Crescent, off Alkali Road, Kaduna. – Nigeria. 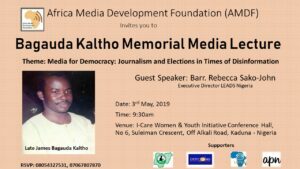 The Conference will feature Keynote Address, two Lead Papers, and two Panel Discussions Awards to Best Development Journalists as well as Awards to Media Organisations. 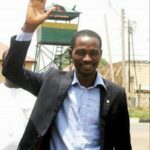 A statement by the organisation’s Coordinator, Sekyen Dadik says the MediaAfrica’ Conference , a project of AMDF, is a platform for discourse to bring to the fore development issues affecting Nigeria and Africa at large, and the place of media in addressing such. 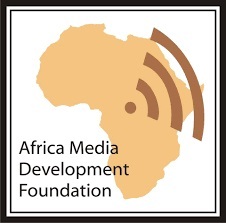 “AMDF believes that no development programme and project can succeed without the active engagement of Media. This is because the media has the ability to influence and cause change in individual’s behaviour and lifestyle, as well as mobilizing communities for positive action. 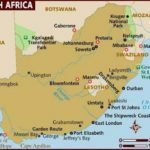 “Participants to the conference include Journalists, Government officials, Development workers, NGOs, Civil Society Activists and Students among others, who are expected to also promote a working relationship between the Media and other stakeholders towards harnessing Africa’s demographic dividend.